NEWSSPIRITUALSuper Blue Blood Moon Is Happening This January! We all get excited when a news said that there would be a rare astronomical occurrence that we can see in the night sky. Whether it’s a solar eclipse, meteor shower or a blue moon, we all anticipate those because we all awe their beauty and rarity. Our moon is already enchanting to watch. NASA reported that within this month, a super rare occurrence would happen. Mark your calendars for January 31st because we will see the moon in its most beautiful form. Get ready for the super blue blood moon. Read all that you need to know in this article. The full moon to come on January 31th is going to be quite a treat. While we do have a full wolf moon coming up at the beginning of January if you have to pick just one to take the time to watch the super blue blood moon should be your choice. For those who do not know, this moon is going to be so spectacular for a number of reasons. First of all, it is going to be a supermoon as well as a blue moon. Blue moons occur when two full moons happen in the same calendar month. This super blue moon is more than just this though. It is also a blood moon. Blood moons coincide with a total lunar eclipse. Yes, that does mean there will be a total lunar eclipse on this night. On the night of the 31st of January, we should all be checking out the night sky. That being said, for some it will be Feb 1st, that depends on where you are. (Yes, this means that for some it will not technically be a blue moon). 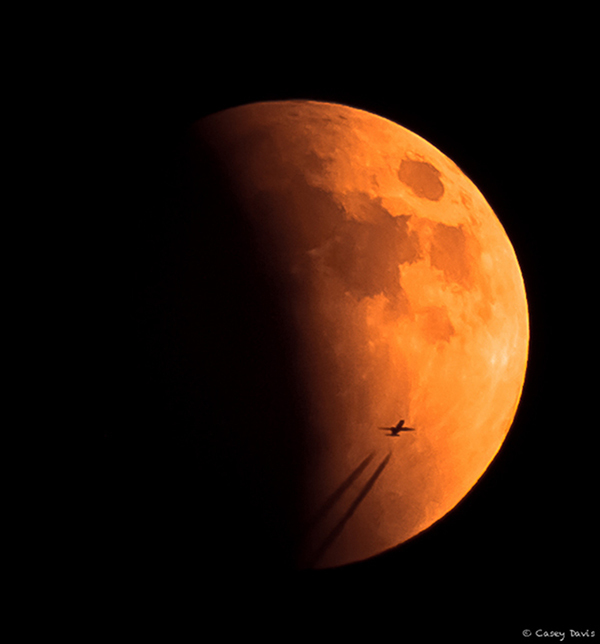 First of all, the January 31st supermoon will feature a total lunar eclipse, with totality viewable from western North America across the pacific to Eastern Asia. The Moon’s orbit around our planet is tilted so it usually falls above or below the shadow of the Earth. About twice each year, a full Moon lines up perfectly with the Earth and Sun such that Earth’s shadow totally blocks the Sun’s light, which would normally reflect off the Moon. “We’re seeing all of the Earth’s sunrises and sunsets at that moment reflected from the surface of the Moon,” says Sarah Noble, a Program Scientist at NASA headquarters. The January 31st supermoon will also be the second full Moon of the month. Some people call the second full Moon in a month a Blue Moon, that makes it a super ‘blue Moon.’ Blue Moons happen every two and a half years, on average. With the total eclipse, it’ll be a royal spectacle indeed: a ‘super blue blood’ Moon. Sometimes the celestial rhythms sync up just right to wow us. Heed your calendar reminders. Now, technically the supermoon will occur on the night before but it will have some influence on the full moon itself on the 31st. Unlike the solar eclipse, which happened just months ago, the lunar eclipse should be visible from anywhere, as it takes place at night. 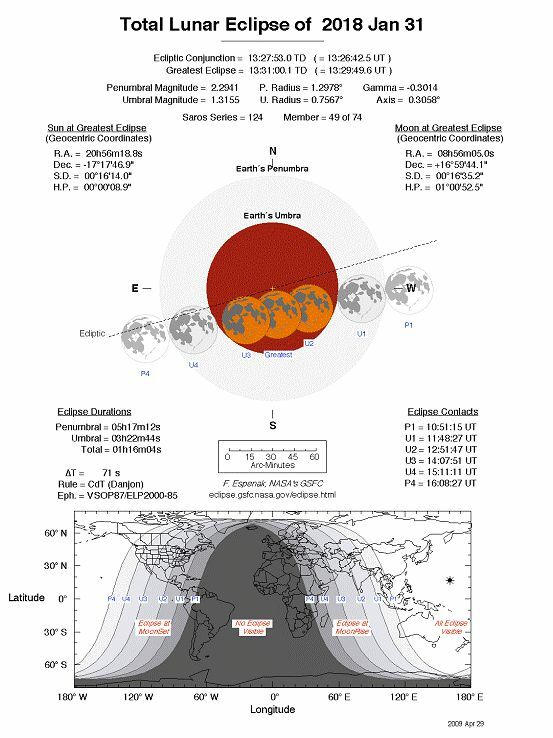 Lunar eclipses do not happen every month because of how tilted the plane of the lunar orbit is in relation to the plane of the Earth’s orbit. While we will all be able to see this event, some viewers will not be able to see the entire thing. Observers in the New York City area will be able to see the moon enter the lighter, outer part of Earth’s shadow around 5:51 a.m. according to Space.com. This darkens the moon and looks as if a veil is covering it. This makes the moon also look redder, hence the name blood moon. Those in New York will not get to see the rest of the eclipse as it will be most visible in the western horizon. This is going to be one spectacular night of energies and we should not waste them. If you can watch, you should. I for one will not be missing this one!